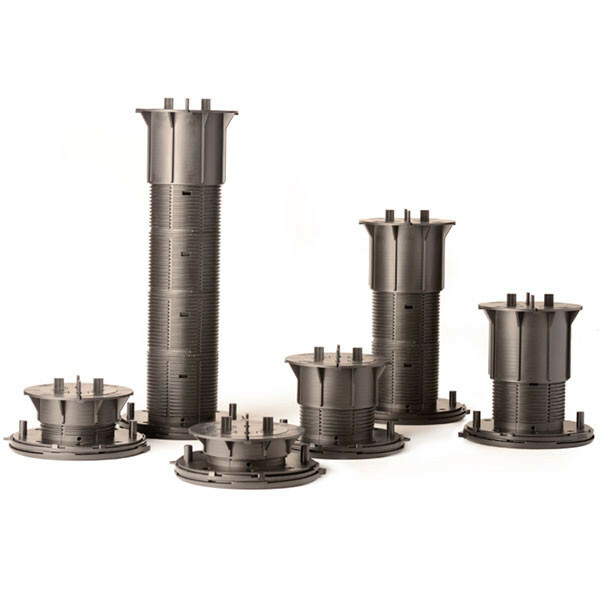 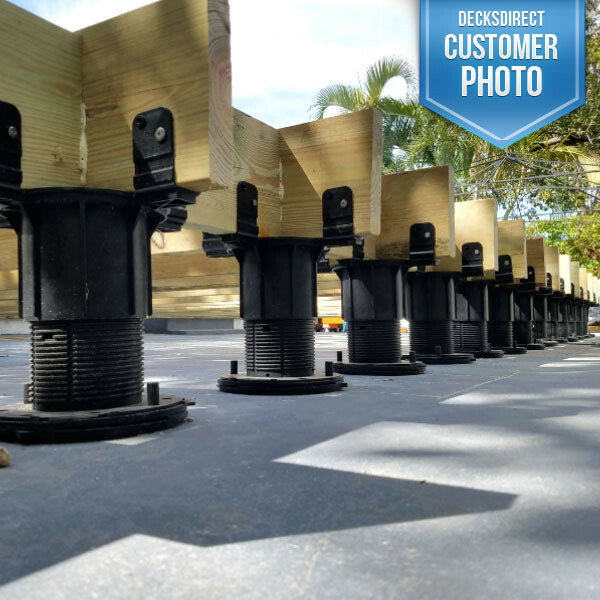 The Versadjust, adjustable V-Series line reaches heights from 2-1/4 inches to 24 inches, has a 1500 pound weight bearing capacity and contains built-in slope compensation from 0 - 1/2 inch per foot slope. 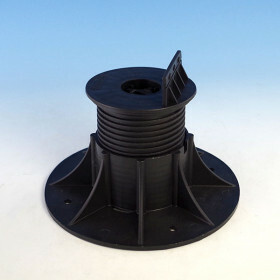 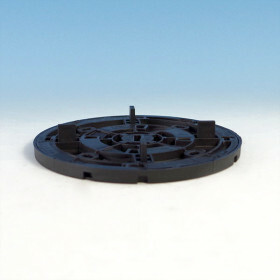 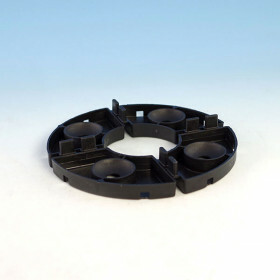 Each Versadjust Support includes one Base Leveler. 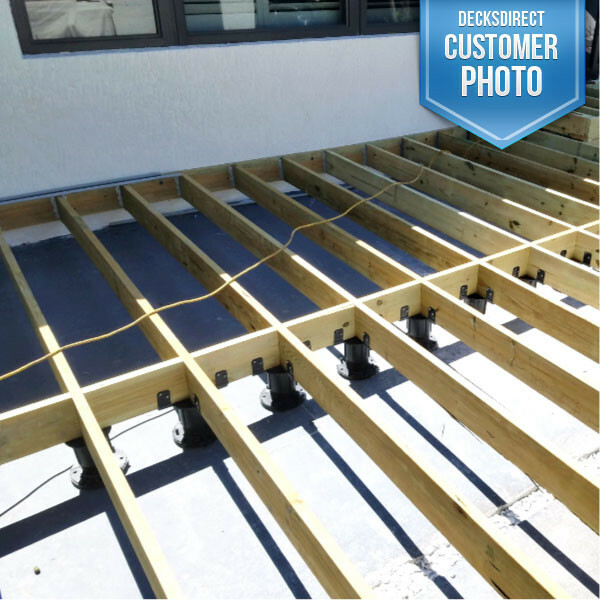 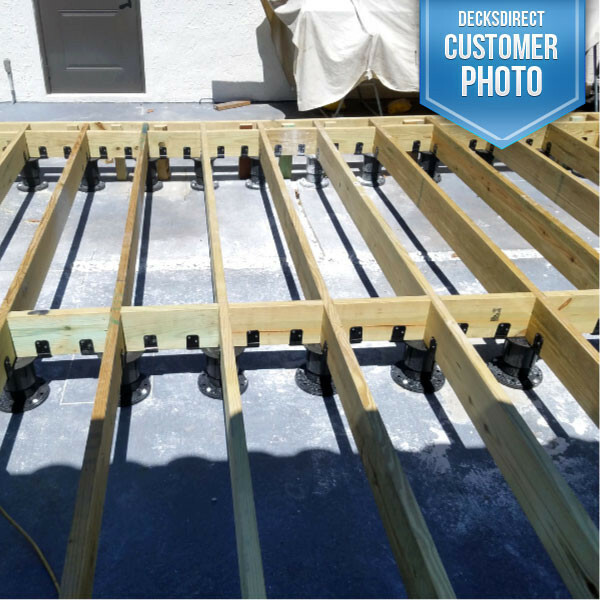 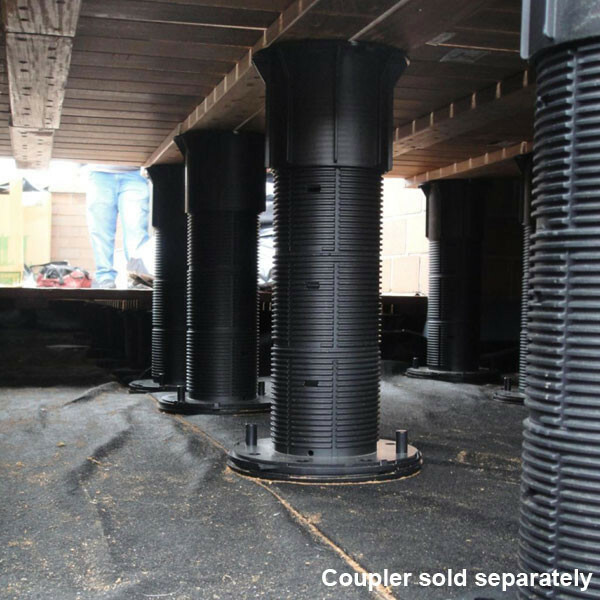 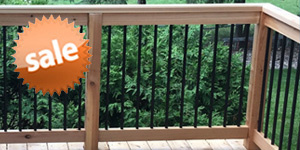 Precise spacer tabs allow for deck drainage, and the screw-to-adjust height setting assures a perfectly straight and level deck. 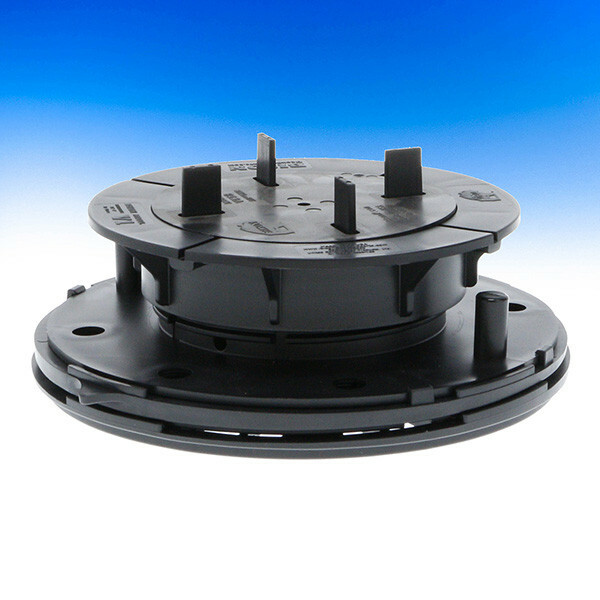 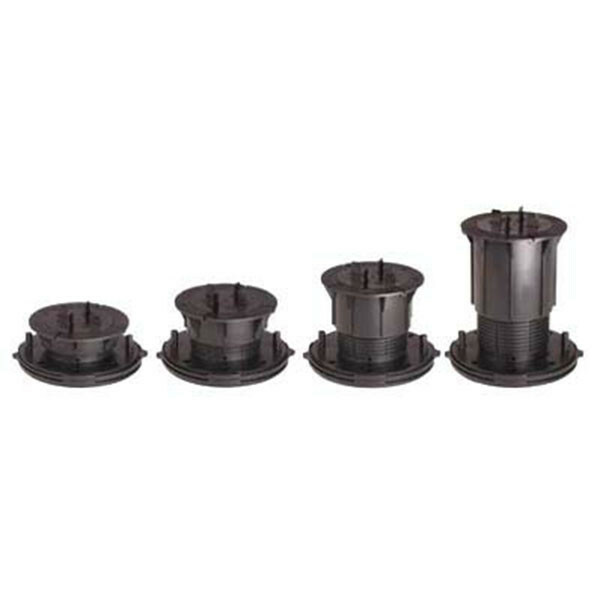 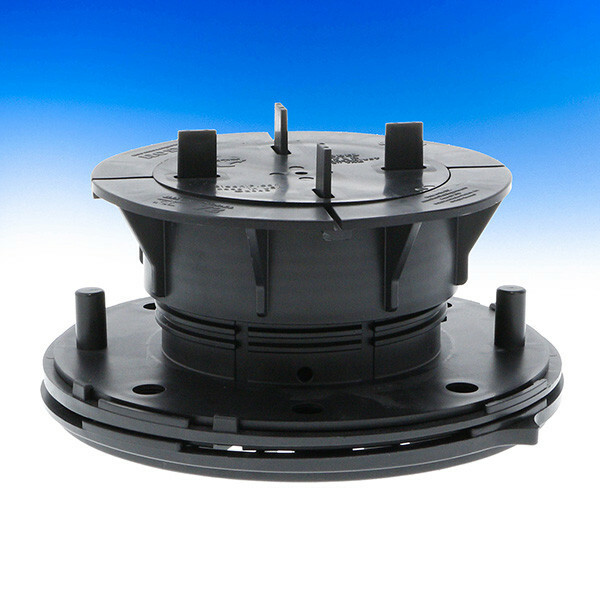 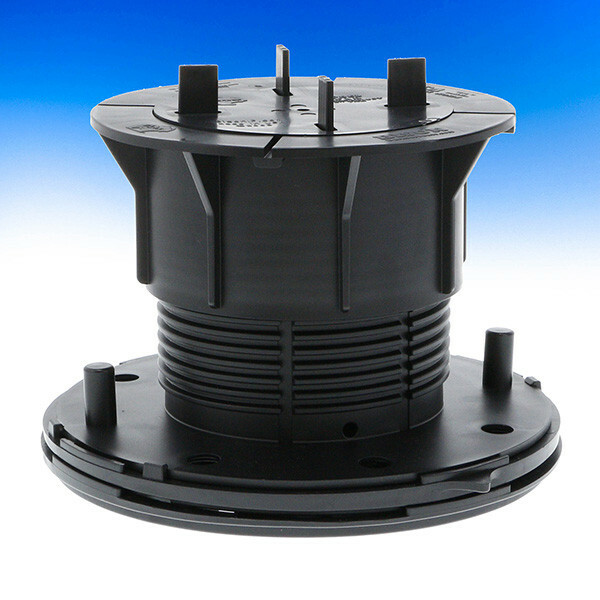 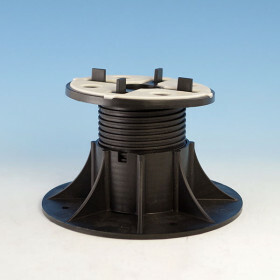 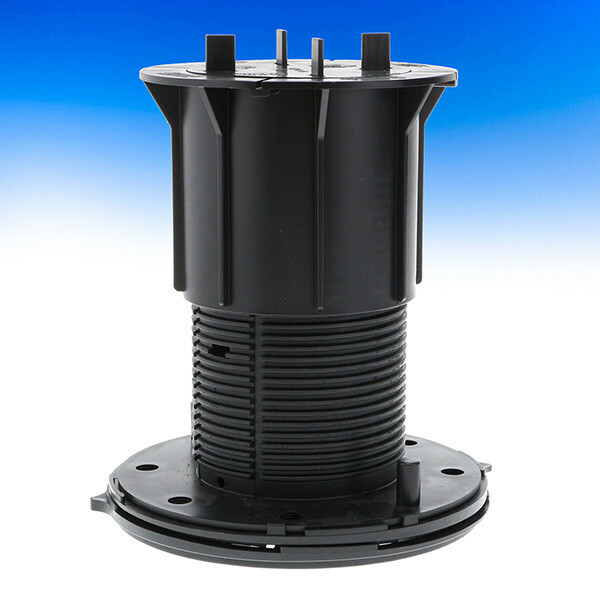 Quick clip couplers increase the speed and efficiency installing pedestals at heights over 9 -3/4 inches. 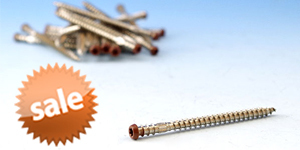 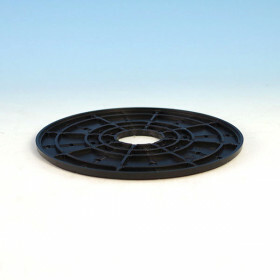 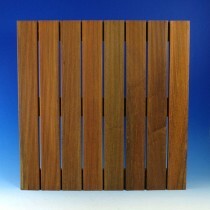 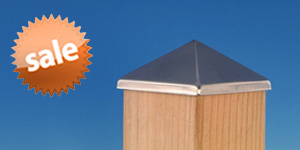 Works with concrete or stone pavers, or wood tiles. 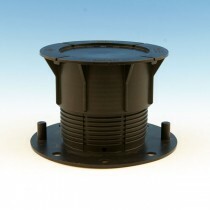 The VC2 Quick Clip Coupler is available to accommodate heights from 1/8 inch to 2-1/4 inches. 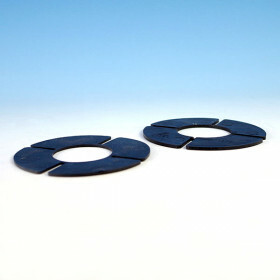 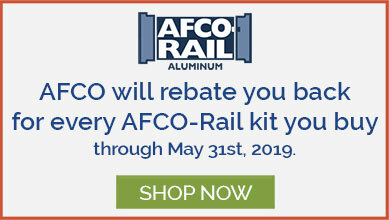 Tabs Available 1/8" or 3/16"
Height Range V1 = 2-1/4" - 2-3/4"
V2 = 2-3/4" - 3-3/4"
V3 = 3-3/4" - 5-3/4"
V4 = 5-3/4" - 9-3/4"